Your mother stands in the kitchen of the home your father built for her after they first married, 60 years ago, and insists she just wants to go home. You tell her that she is at home and she becomes more agitated and upset. You point to photos on the wall and she tells you she doesn’t know how those photos got there, but she wants to go home. You ask her address and she correctly lists the home in which she’s standing; you take her to the front porch and point to the number on the front of the house. She yells at you to stop playing tricks on her and just take her home. What is your mother trying to express? Why is she so intent on going home? You have provided perfectly logical answers to her questions. You reason that someone else would not have your family photos on the wall; the house number matches her house number; you even pull out the phone book and use that as proof. None of the proof that you offer satisfies your mother. That’s because an emotional plea is not satisfied with a logical answer. Your mother is not asking to go to a specific address. She is expressing an emotional need. She is expressing the need to feel in control, the need to feel comfort and security—all of the emotions that are represented by home. She is standing in her own kitchen, but in that moment, she is not feeling safe, secure, or in control. She cannot express her emotional needs, so she states that she wants to go to the place where she does feel those positive emotions. Reasoning that she is already home will not help her; it will only frustrate her. People with dementia have emotional needs just as much—if not more—than they did their entire lives. They still feel the entire range of human emotions and often express these emotions more vividly than they ever did previously. The ‘filter’ we have developed over the years that tells us when and how we can express emotions is affected by dementia; thus someone may be very expressive emotionally for the first time in their life. 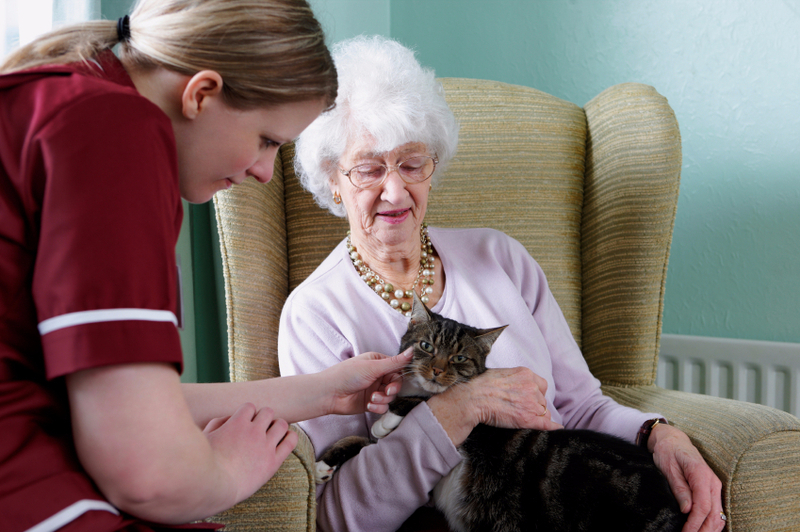 Emotional needs cannot be met strictly by providing practical, hands-on care. 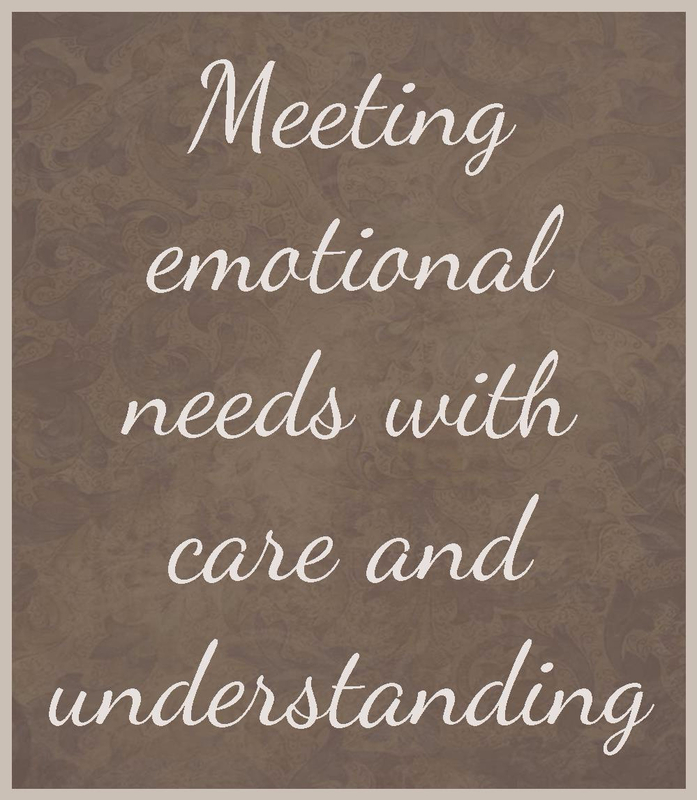 Emotional needs are only met when someone else is particularly caring and understanding. Our caregivers, who have extensive training in dementia, can make educated deductions about what your loved one is trying to express. We can then aim to meet those emotional needs and provide ongoing support to reduce future anxiety.